Interpersonal psychology, and the broader field of mental health science, lost one of its most influential and prolific contributors when Theodore Millon, Ph.D., D.Sc., died at his home in Port Jervis, NY, on January 29, 2014. He was 85. A friend, mentor, and colleague to many in SITAR, Ted was among the best and brightest psychologists of his generation. His career spanned 60 years, included 45 books and manuals, and over 150 chapters, articles, and commentaries. Professor Emeritus of Psychology at the University of Miami, Ted was internationally celebrated for the most comprehensive model of personality and psychopathology ever developed, a model he began working on in the 1960s, and was revising at the time his death. His taxonomy of personality disorders (PDs), and its relation to other forms of physical and mental illness, became a central feature of the 3rd, 4th, and 5th editions of the Diagnostic and Statistical Model of Mental Disorders (DSM). His eight assessment measures, created to operationalize his model, greatly expanded the territory of traditional personality assessment (e.g., in medical, adolescent, pre-adolescent, and college populations). Born in Brooklyn, NY, Ted was the only child of parents who had immigrated to the U.S. from Poland and Lithuania. Although placed on a pedestal by his adoring parents, Ted didn’t need this to stand out among his peers because of his unusual height (he eventually grew to 6’ 4”) and multiple talents in math, music, and the decorative arts. Through high school Ted dutifully excelled in all the “hard” subjects, but his passion lay in artistic pursuits. Approaching graduation, he was dismayed by a parental warning to avoid the "impracticality" of an artistic career—especially in music—although later, the other members of his Lafayette Trio followed this vocation quite successfully (i.e., Vic Damone and Allen Dale). Not to be entirely waylaid, throughout his psychological career Ted found time to exercise his talents as a sculptor and painter. Following high school Ted was educated at the City College of New York (1945-49) where he met Gardner Murphy, Kurt Goldstein, and Ernst Kris, all of whom shaped his interest in personality psychology. He then went on to receive his Ph.D. in personality/social psychology at the University of Connecticut (1950-53). While a young professor at Lehigh University in the 1960s, Ted's ideas about personality and assessment began to evolve. This was a time when personality psychology was losing ground to behaviorism, and when psychiatric taxonomy and personality assessment were not well aligned. Many were unhappy with this state of affairs and sought ways to bring these together. In 1969 he published Modern Psychopathology, where he introduced his model of psychological disturbance that addressed current nosology. His model focused squarely on psychiatric diagnosis, and linked traditional concepts of pathology with personality. Perhaps the first theoretical integrationist of the modern era, his biopsychosocial model of 8 basic and 3 severe personalities drew from several existing theories (e.g., those of Freud, Leary, and Rotter) but was unique in its compilation of ideas. Among its features was a circumplex model of PDs. In 1977 Ted and his colleagues developed the first of his major tests, the Millon Clinical Multiaxial Inventory (MCMI; a 4th edition is currently in press). A 175-item True/False-keyed measure of 11 personality styles and 9 clinical syndromes, the MCMI was the first assessment device to use base rate scores instead of normalized scores. His strategy for test construction was strongly influenced by the work of Grant Dahlstrom, Paul Meehl, and Jane Loevinger. Shortly after this Ted was invited by his friend, Melvin Sabshin, of the American Psychiatric Association, to help revise the DSM-II. He was a persuasive member of the committee that developed the taxonomy for PDs, and much (but not all) of his model was incorporated into the DSM-III (1980), and later the DSM-IV (1994) and DSM-5 (2013). He was a practicing clinician for many years, and teacher to three generations of students. 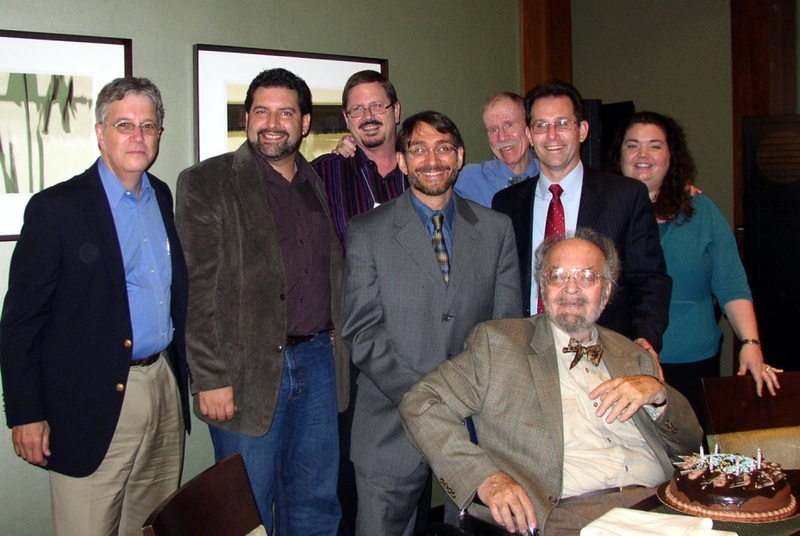 He was magnanimous in helping colleagues, former students, and young scholars, among whom were Lorna Benjamin, Bob Carson, Don Kiesler, Robert Krueger, Aaron Pincus, Drew Westen, and myself. In 2004 he created an endowment at the American Psychological Association for an annual Theodore Millon Award in Personality Psychology. For his body of work Ted received numerous accolades and awards, including an honorary doctorate from the Free University of Brussels in 1995, the American Psychological Association Award for Distinguished Professional Contributions to Applied Research in 2003, and the American Psychological Foundation Gold Medal Award for Life Achievement in the Application of Psychology in 2008. Ted was a loving husband to his wife, Renee, for over 60 years, and father to four children, one of whom (Carrie) continues his legacy as a clinical psychologist. To his friends and colleagues Ted was a giant, both literally and figuratively. Others were always in his shadow because of his height, immense breadth and depth of knowledge, commanding intellect, and persuasiveness. Like Merrill-Lynch, when Ted talked people listened. He had an uncanny ability to see where the field was headed, and could add his input to a coalescing movement at just the right time. As a graduate student under Ted in the early 1980s, my fellow students nominated Paul Meehl as the smartest living psychologist at the time. Years later, Meehl publically praised Ted for developing the kind of comprehensive model of psychopathology that had eluded him. You can’t get a better endorsement than that…but it also brings to focus the immense loss we have in the field now that Ted is gone. He will be missed by many in our small interpersonal research group, and by thousands more the world over. Millon, T. (2003). It’s time to rework the blueprints: Building a science for clinical psychology. American Psychologist, 58, 949-961. Jim Choca, Seth Grossman, Steve Strack, Neil Bockian, Lee Hyer, Rob Tringone, and Sarah Minor.